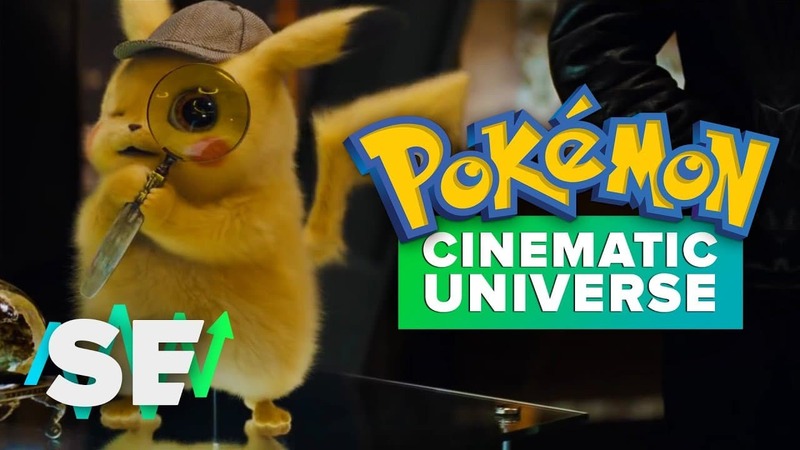 Could ‘Detective Pikachu’ Cast A ‘Pokémon’ Cinematic Universe? Although there have been previous Pokemon movies, almost all of them have been directly based upon or taken place in the world of the anime series.The upcoming Detective Pikachu might launch its own live- action Pokemon Cinematic universe. The movie, which is based on the video game of the same name, is the first time that the world of Pokemon has been translated to live-action. The anime shares a similar visual style with the games and the appearance of the various pocket monsters is a direct creation of their video game counterpart. What Is Different in Detective Pikachu? Detective Pikachu is something a little more adventurous and different. Since the pokemon (mainly the movie’s titular talking Pikachu voiced by Ryan Reynolds) will be interacting with real human actors, this movie has made the pokemon more life-like than they have ever been before. The process of bringing Pikachu from a cartoon model to a fluffy realistic rodent seems like a lot effort for a movie with a rather silly premise. However all this work to make Detective Pikachu plausible could be explained by the evidently larger plans that production company Legendary Entertainment has for the franchise. Mendes’ statement is obviously not confirmation that Pokemon movie will be one part of a much larger universe. It does at least hint at the fact there’s been discussions of a cinematic Pokemon universe. Even if it’s not the intention, Detective Pikachu could easily be the first step to a larger ongoing story and world. Several studios have looked into creating inter-connected movie universes in the wake of Marvel Studios’ success. The Pokemon franchise and Detective Pikachu already seem poised to have that level of cinematic world building more so than some of the other attempts in recent memory. Mendes’ comments do lend some credence to a rumor that The Pokemon Company was developing another live-action movie called Pokemon: Red and Blue. This unconfirmed rumor explained that the movie would adapt the storyline of the first two games in the series and would be set in the same universe as Detective Pikachu. Pokemon has retold and remade the story of Pokemon Red and Pokemon Blue several times before, mostly recently in the Nintendo Switch game Pokemon Let’s Go Pikachu and Eevee. That story is well trodden ground, but it has a proven track record so if the movie is a smashing box office success it wouldn’t be all that surprising for that rumor to become a reality. In every single Detective Pikachu trailer that has been released so far, there’s a myriad of Easter eggs and suggestions at a larger universe. Pokemon are littered throughout the world of Detective Pikachu. Everything from posters to restaurant signs hint that there’s much more to the world of Detective Pikachu than its central narrative, which involves the title character and his young human friend Tim Goodman searching for Tim’s father. The vibrancy of the world in Detective Pikachu does make the movie seem all that more appealing and realized. However it would also naturally lend itself to a spin-off that explores a story outside Detective Pikachu and Tim.